After a 34-minute delay in action, the 49ers made a big comeback in the Blackout Bowl, but not enough to prevent Joe Flacco from becoming a Super Bowl champion. A lot has happened in the five years since. People have stopped thinking Flacco might be good. San Francisco quarterback Colin Kaepernick has become national lightning rod COLIN KAEPERNICK. And you likely won’t consume the Super Bowl the same way did in 2013. You probably watched Flacco vs. Kaepernick in someone’s living room on cable or satellite TV. But this year you can watch on cable, satellite … and more than a dozen other ways. And you can do it in a living room, on the treadmill or even sitting on the toilet. You can watch Patriots-Eagles on the NBC Sports app (on both iOS and Android). You can watch via streaming boxes like Apple TV, Amazon Fire, Roku, Xbox, PlayStation and smart TVs. You can watch it on NBCSports.com. You can stream it on the free NFL Mobile app or Yahoo Sports app. Or you can subscribe to a streaming service — DirecTV Now, Hulu, PlayStation Vue, Sling TV or YouTube TV — and watch it that way. There are a ton of options. If Kaepernick had that many good receiving options, he’d probably still be quarterback of the 49ers. While it’s unlikely the lights shut off again at this year’s Super Bowl — please remember to pay your electric bill, Minneapolis — there is some concern that digital and mobile networks will not be able to handle the millions of devices that will stream the game. The Super Bowl has been a massive social media event for years now. Last year, 64 million people posted on Facebook about Patriots-Falcons and there were 27 million tweets about the game. Not only does all of that social media usage tax networks even more — along with texting, mobile phone calls and real-time betting on the game — just imagine the full-scale FREAK OUT on social media that would occur if Sunday’s game feeds go out or even simply have repeated buffering issues. If the feed of the main event is problematic – as it was for Showtime’s delivery of the Mayweather-McGregor fight – Facebook and Twitter might soon crash themselves from the sheer volume of people being MAD ONLINE. We might even see people take to the streets for a form or expression that far outdates Twitter and Facebook called Pitchforks and Torches. Side note… according to Rich Michos from IBM, they are thinking about this too (the network, not taking to the streets). They are rolling out new networking software to help companies keep up and balance this insatiable demand. But even if, and let’s hope when, the digital and streaming networks are able to handle the Super Bowl demand on Sunday night, the diversification of ways to watch presents a major challenge for advertisers. A 30-second spot in this year’s game broadcast on NBC runs $5 million. But anyone who has streamed sporting events before know that the advertising experience is not the same as in traditional formats. In fact, sometimes the screen just goes black during commercial breaks. That’s not a sustainable model for the content providers or the advertisers that pay big money to reach viewers. Granted, few of us toss and turn at night worrying about how large corporations will make ends meet in a changing media landscape. We just want to watch and enjoy the content. But that issue will have to be resolved sooner or later or our options for enjoying and consuming events like this in the future will be limited. 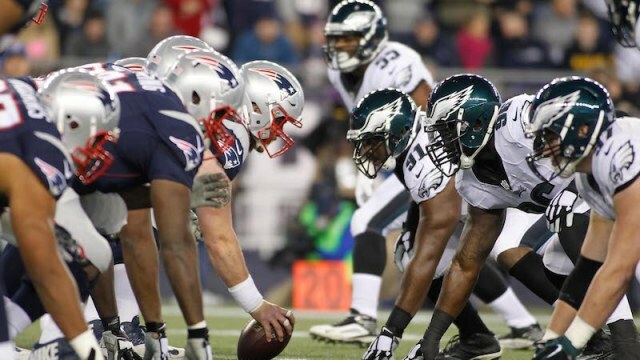 There is a ton of pressure Sunday night on Tom Brady, Nick Foles, the Patriots and Eagles. But there might be even more on digital providers during game. If Foles has a bad game, it means a couple interceptions and one loss. If digital networks have a bad game, it means millions of pissed off people missing the biggest game of the season. So root for the Patriots or Eagles if you want. I’ll be pulling for digital infrastructure.